This post is a bit different from my usual sugary sweet posts. I’m joining the the Crazy Cooking Challenge hosted by Mom’s Crazy Cooking. I love to cook, almost just as much as I love to bake, so I figured I’d mix it up a bit. This month’s challenge was a Grilled Cheese Sandwich. The only requirements were that the sandwich contain bread and cheese & that the recipe came from another blog. 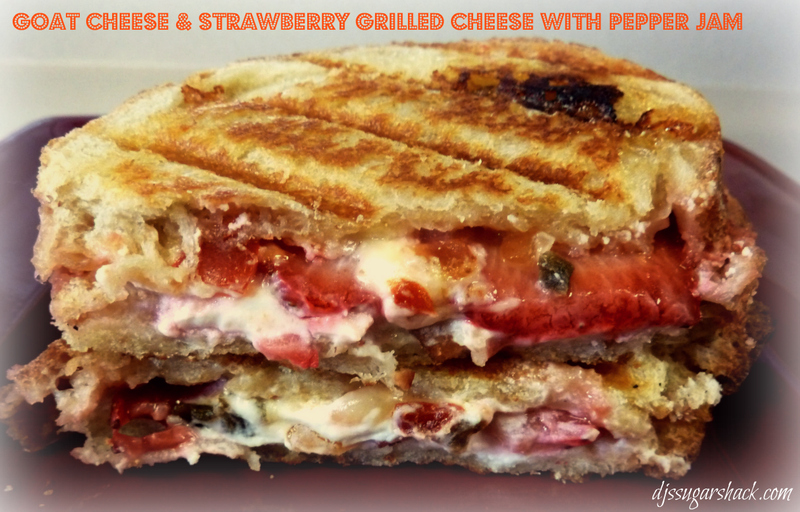 You have no idea how many Grilled Cheese recipes I drooled over before made a decision. WOW the grilled cheese sure has evolved. When I was kid the only variation was adding a few strips of bacon. Cook until the cheese is melted & enjoy. WOW was this delicious! There was a great balance of sweet and savory flavors. I was a bit skeptical about the bacon, but I really enjoyed extra crunch and flavor it gave the sandwich. MANY THANKS to Mom’s Crazy Cooking for hosting and organizing this challenge!! I can’t wait to see the what the challenge will be next month. 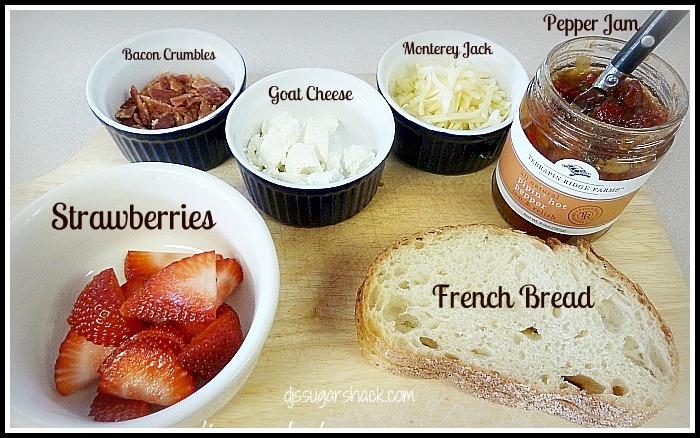 Spread Pepper jam on the insides of the bread. 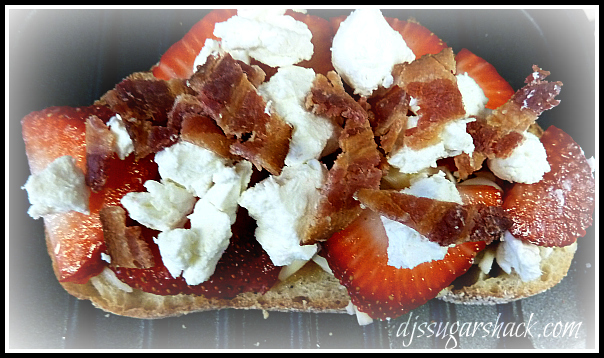 Top bottom piece of bread with Monterey Jack strawberries, goat cheese, and bacon crumbles. Grill until the cheese is melted and the bread is golden brown on each side!